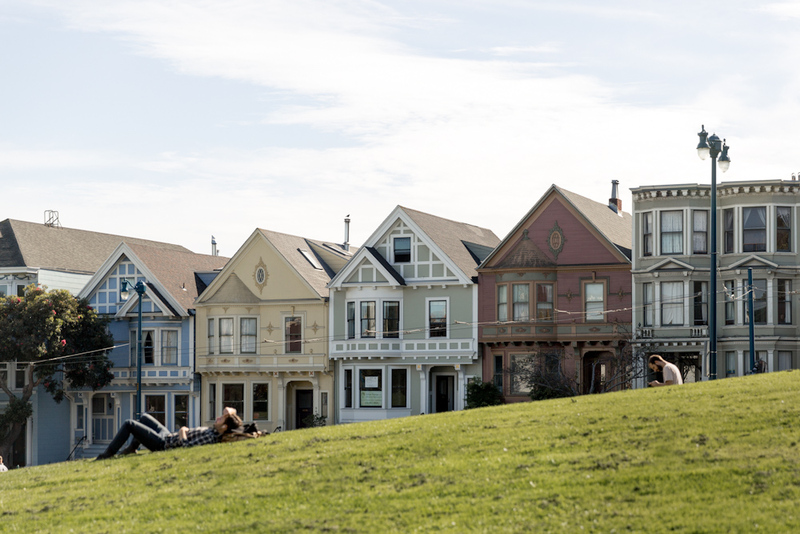 Film buffs will recognise Alamo Square Park and its ‘painted ladies’ (photo: Aaron Wojack). 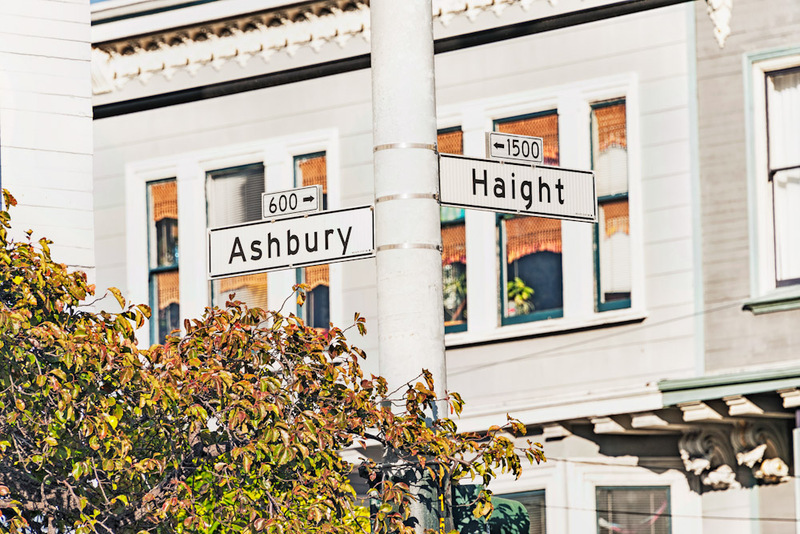 You can’t get much more San Francisco than Haight-Ashbury. Put aside plenty of shopping time (photo: Aaron Wojack). A typical grand old dame of the Haight district (photo: Aaron Wojack). 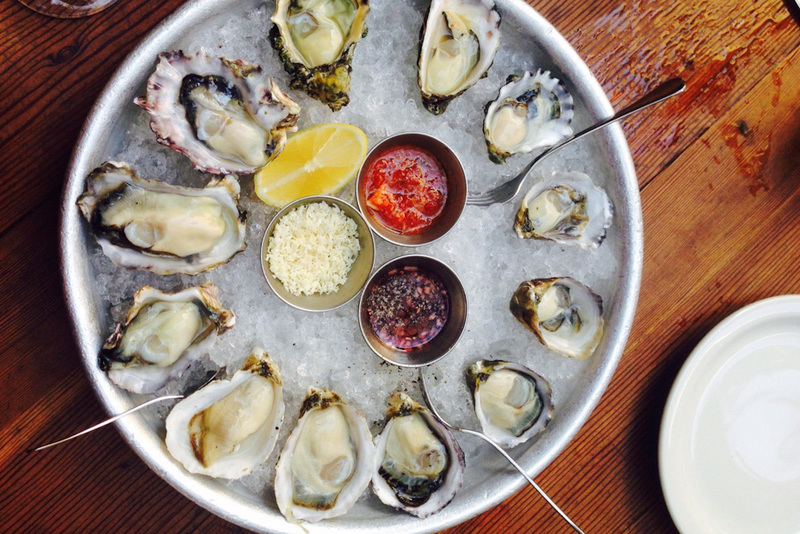 One-dollar oysters at Bar Crudo happy hour (photo: Jerry Moorman). 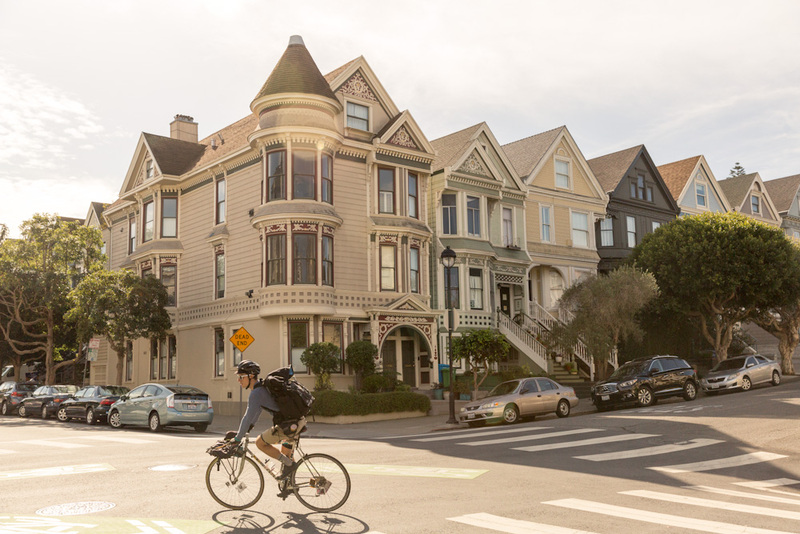 In Haight, there is a distinct difference between Upper Haight and Lower Haight, however the general Haight area is one of the most bohemian, buzzing and central neighbourhoods in San Francisco. Alissa Jenkins booked a room through Airbnb and our host, Patrick Naong gives us an insiders guide on the best this neighbourhood has to offer. Born in Hawai’i and a San Francisco resident for 40 years, Airbnb host Patrick was drawn to Lower Haight by the cultural diversity and central location. Located inside an abandoned church that’s been converted to a roller-skating rink, here you can get your groove on to funk and old-school music classics. You’ll pay $15 for admission and rental. This certified organic ice-cream is somewhat of a local delicacy. Patrick recommends the lemon cookie or Dad’s cardamom! Arrive early for happy hour, which runs from 5pm to 6:30pm, and indulge in all kinds of seafoody goodness including $1 oysters on the half shell, $1 mussels, $6 Manila clams and the tastiest seafood chowder in town for $6 a pop. 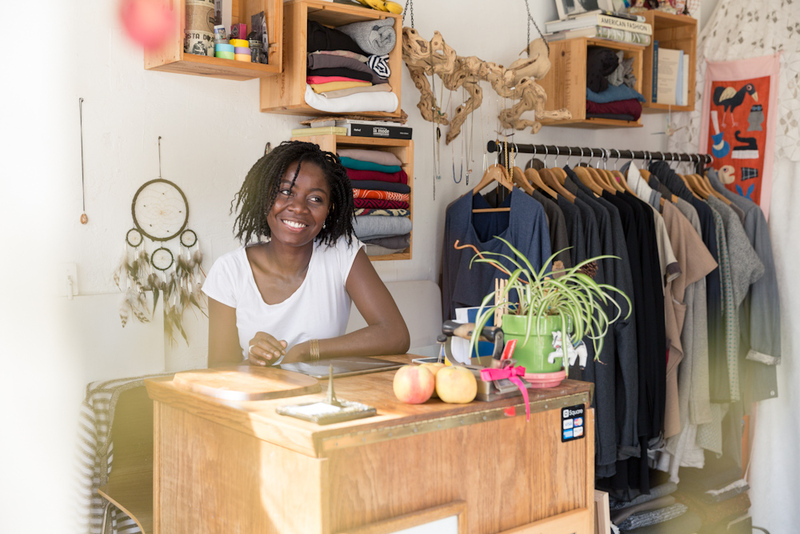 For a non-traditional souvenir, pay a visit to this Lower Haight clothing store. A favourite since it opened in 1999, there’s an array of hoodies, hats, t-shirts and accessories, with some fun San Francisco-inspired designs by artists such as Sam Flores and Jeremy Fish. There’s also a great gallery next door called FIFTY24SF, which showcases works by more local artists (including some of those who design for Upper Playground). Bi-Rite Market – After fresh groceries and deli items? With a couple of locations across the city, the Lower Haight address promises an amazing selection of specialty items and farm-fresh groceries, snacks, cheeses, cold-cut meats, bread and especially helpful staff. Definitely try the Cowgirl Creamery Mt. Tam cheese and Bi-Rite’s own ice-cream – the salted caramel and balsamic strawberry are the best! Alamo Square Park – Picnics, people-watching, and parrots, oh my! After picking up all your picnic supplies from Bi-Rite, stroll over to this iconic park. It’s the perfect place to admire the city’s historic Victorian houses and watch the incredibly diverse parade of people passing through. You’ll also be able to see (and hear!) San Francisco’s famous wild parrots. For a slice of Germany, this place is a shoo-in. Almost as impressive as the menu of authentic dishes and the beer selection from different German regions is the cosy, rustic interior with communal tables. Try the popular wiener schnitzel and spätzle. This Mexican restaurant and salsa bar does get crowded during dinnertime, but it’s worth the wait. You’ll find the best Mexican food in the area here; the fried plantain and black bean burrito is especially delicious for vegetarians and meat-eaters alike. Modern Zen in Lower Haight offers a large, sunny room with a luscious queen bed and bathroom. Situated at the more affordable end of the home-stay spectrum, compared to Cole Valley, the room décor matches the rest of the host’s home – a neutral colour palette made up of natural materials and plush furnishings, alongside Buddhist prayer flags. MORE… Time to head over to The Mission and Cole Valley?